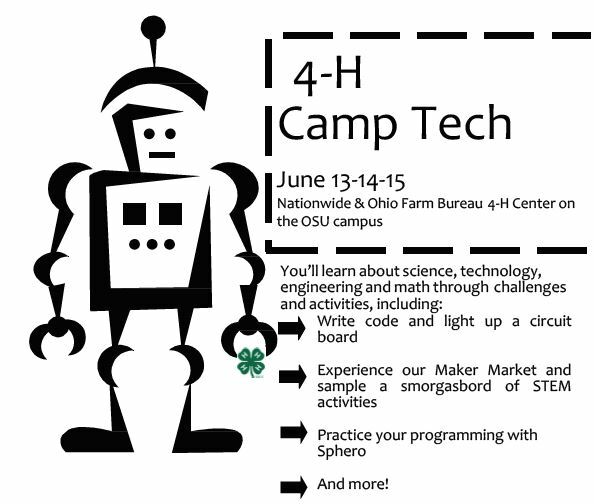 Join Ohio 4-H for 4-H Camp Tech and geek-out with three days of STEM activities! Robotics, engineering design, Spheros, programming and more. 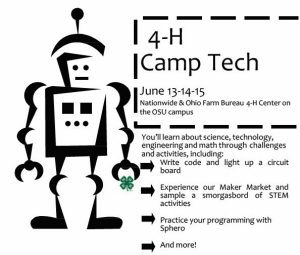 Campers stay overnight in OSU campus dorms, with activiteis at the Nationwide & Ohio Farm Bureau 4-H Center. For youth entering grades 6,7 and 8 in fall 2018.